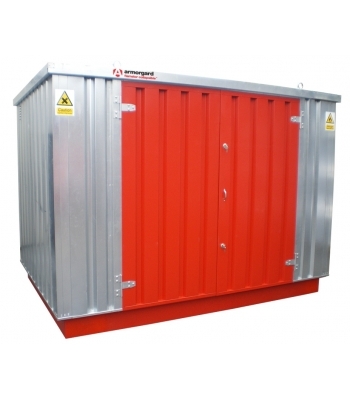 Flamstor 2160x3080x2200 Medium Duty, Fully collapsible design ideal for restricted access, Simple to assemble using nuts, bolts & screws, All components can be man handled. 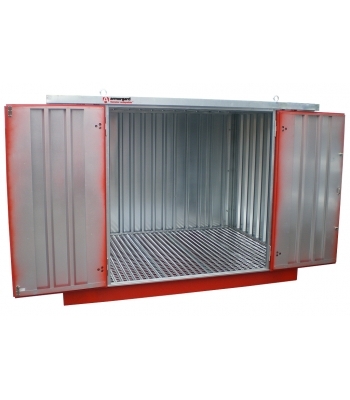 Liquid tight sump to contain spillages, Open steel floor to allow spillages to drain through to the sump, High & low level ventilation, relevant signage for hazardous goods, Lifting eyes to allow crane loading, Units can be joined together to form one large store using the linking kit available, Double doors fitted with twin deadlocks. 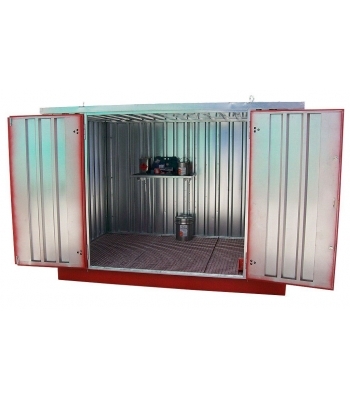 Doors and Sump powdercoated in red, Sides, back & lid in galvanised finish.